I would like to use today’s blog to write about writing blogs. But it’s actually about much more. 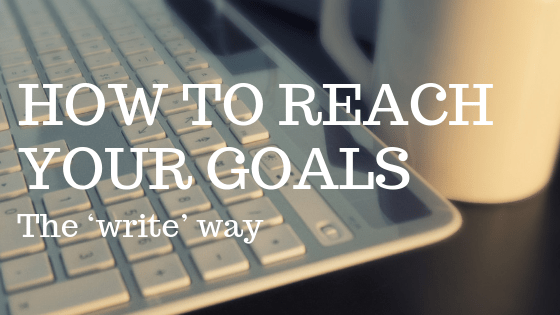 It’a about how to reach a goal.This posting is my 773rd blog, a number far exceeding my original intention to write 10 blogs as a means of overcoming a lifelong fear of writing anything.What began as a form of therapy, led to the self-publishing of a book and then continued as a weekly exercise until August 2013 when I decided to add a second weekly blog to my postings.My two-blogs-a-week habit continued for 296 consecutive weeks until earlier this month when, at the suggestion of a trusted advisor, I decided to go back to my original one-blog-a-week habit.In the early days writing each blog was excruciatingly painful. That was followed by discomfort until the last few years when my writing began to feel natural.Their writing part has become easy, the challenge each week is to come up with a new topic and I have often felt the urge to quit writing blogs completely. But I won’t, I will continue to write each blog because doing so has become a habit. As a Habits Coach I have long encouraged my clients to evaluate all those things they do repeatedly and determine which bring benefit to the lives in which don’t.There is a confidence in me that is borne from knowing that in 9 years I have not once, even while being sick and, on one occasion, hospitalized, allowed a single week to pass by without posting a blog.The metaphoric counter in my head now reads 773. After I post this one that number will increase to 774 and if I miss next week that number will instantly revert to zero.Too painful to even contemplate. I have no idea how many people read my blogs source. My 50th blog began like this: Today is my 50th.My fiftieth blog.And within 24 hours of posting it I received 42 Happy Birthday messages. While various analytics tell me that many people open my blog, this caused me to wonder how many read much beyond the first sentence.Never once have I lamented or regretted the time spent writing a blog and each completed blog has brought with it a feeling of accomplishment that has unquestionably guided me to greater achievement in other areas.Not missing a week for 773 weeks has taught me that anything is possible, unless, of course, we give up. The only reason we fail to achieve our goals is because we choose not to finish what we started.I realize some may call this obsessive but what it represents to me is a discipline that I have frequently drawn upon to evolve other areas of my life. Over the years, sharing this with my clients has repeatedly aided when required to exercise the focus and discipline necessary to form new habits of their own.We all have areas where we would like to bring about change. Perhaps we have attempted to do so in the past and not succeeded or we have simply placed these desires into our “things to do tomorrow” folder and then filed in an obscure storage area somewhere in our minds. To those who would like to bring change to their lives, I offer these easy to follow steps:1. Select one change you would like.2. Determine what you must do to bring it about.3. Decide how often you must do it.4. Do it.5. Do it again.6. And again.Until you have done it 773 times.Then keep doing it.Till we read again.